We're excited to join with a group of blogging friends to bring you a month long Celebrate the USA Link Party 2017! We'll each be sharing a patriotic post to kick off the party. You're invited to share any patriotic posts (old or new) at the party. Crafts, Party Ideas, Decor, Recipes, and more. It's a celebration of all things Red, White, and Blue! We're happy to have you join the party! Hi! This is Gail from Purple Hues and Me! 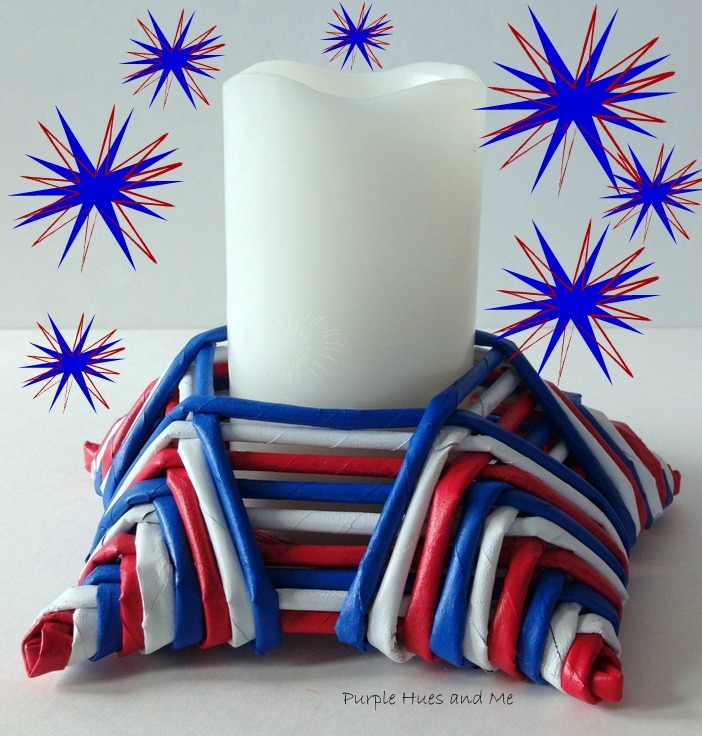 I am so excited to be part of this celebration and share with you my red, white and blue patriotic craft creation! You can easily add a touch of patriotic elegance to your décor with an awesome diy newspaper tubes candleholder or decorative accent piece. It's a super easy recycle project that's inexpensive, costing next to nothing to create, and the best part, you probably already have everything on hand to make. With little more than newspaper, a skewer stick, glue and paint, you can create a festive decorative item in red, white and blue, that's perfect for any patriotic occasion, celebrating the USA! You can see my full, easy to follow tutorial here. 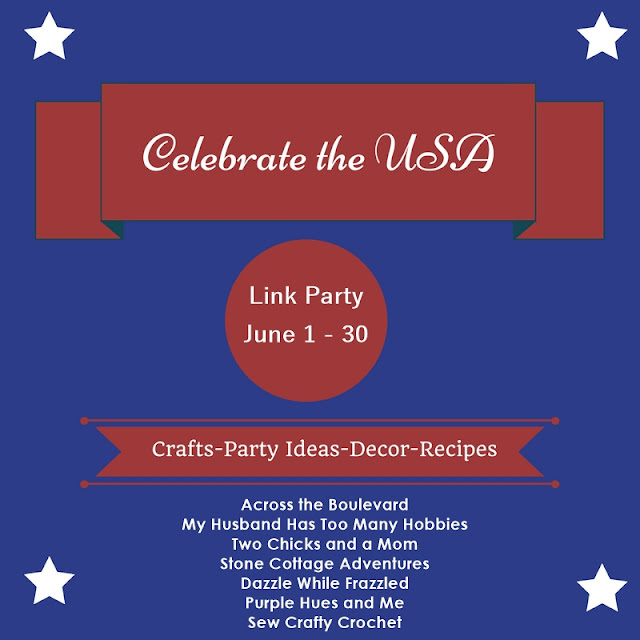 We're hoping to see your patriotic ideas at the Celebrate USA Link Party! Share as many posts as you'd like as long as they fit the theme of the party. Posts that don't fit the patriotic theme will be removed. Stop by throughout the month for inspiration and to add more ideas! Each co-host will be choosing features from the party and we'll all post a features post on July 4. Adding your link gives the party co-host(s) permission to share your post on social media and/or to use your photo with a clear link back to your post in any feature or round-up posts. We will be sharing lots of your posts on our social media. We'd love to connect with you! Thanks for the great party Gail and everyone! I will spread the word! Thanks for the party and hosting. Looking forward to seeing more posts with the USA theme. So many fun projects Gail. I love anything with the patriotic colors! WOW!! So many awesome ideas!! I'm a sucker for anything that shows my American Pride! !